Chuknagar Abbas Hotel is a famous hotel in Khulna region. In fact, this is a restaurant which hold different characteristic. If you take the taste of food here, you must admire. The fame of this restaurant is spreaded all over Khulna. Day by day, it is increasing. Every day a huge number of people come to taste delicious food menu at Abbas Hotel. The hotel is located in an excellent place, just beside of Satkhira-Khulna Highway. The hotel is situated at Chuknagar Bazar bus stand which is almost 30 kilometers away both from Khulna and Satkhira city. If you come from Khulna city, you will see it right side of the road. 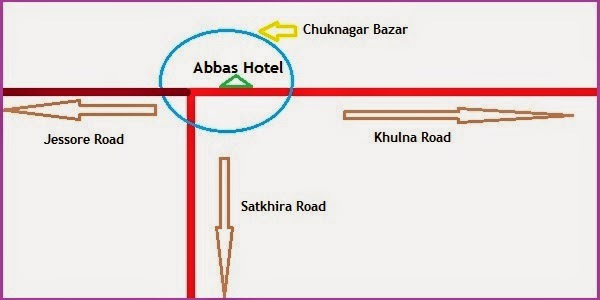 If you come from Satkhira or Jessore (Keshobpur), the position of Chuknagar Abbas Hotel will be at the left side of you and the road. In fact Khulna and Jessore are the main entry points to reach this hotel from all over Bangladesh without Satkhira. You can go here through bus, motorcycle or easy bike. It will not cost more than BDT 50 by bus. It is well-known that generally many kinds of food items are found in a restaurant. But you will be surprised knowing that Chuknagar Abbas Hotel in Khulna is enriched with only rice and mutton. Only for tasting this delicious item, people come here even from far away. Why the rice and mutton is so tasty? I should mention that the curry is cooked with a special spice named “Chui”. 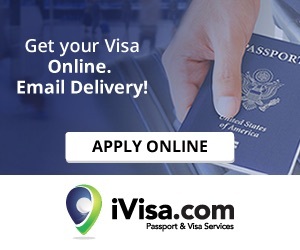 It is locally available in Khulna. You can even eat whole plate of rice with the soup of the mutton curry. The chef of Chuknagar Abbas Hotel pays special attention when he cooks it undoubtedly. The place, the waiters, the cooking, the spice, the mutton, the soup; everything makes it exceptional and tasty food. If you eat it once, you must want to taste it again. Manjarul Rana was a member of Bangladesh National Cricket Team. The Chuknagar Abbas Hotel was very much favorite to him. Once he along with another local great cricketer Setu drove for this hotel from Khulna. But they fell in a fatal accident on the way. Alas! Both the cricketer died. In fact, the incident proves the fame of Chuknagar Abbas Hotel and its food. On the other hand, it also enhances the popularity of this hotel. Since the hotel is busy during the lunch; it is difficult to find a seat to taste this food. The waiters move from one table to another table with a big bowl full of mutton curry. You have to choose the piece of mutton to eat with rice. It costs BDT 70 for every piece of mutton. The chef of this hotel should get credit for cooking such kind of tasty cuisine. The services of the waiters are praiseworthy. Thanks to the staffs and the owners for carrying on the tradition of Chuknagar Abbas Hotel since the establishment.